Real Madrid striker, Karim Benzema could soon be up against Juventus new signing, Cristiano Ronaldo at the Serie A next season. 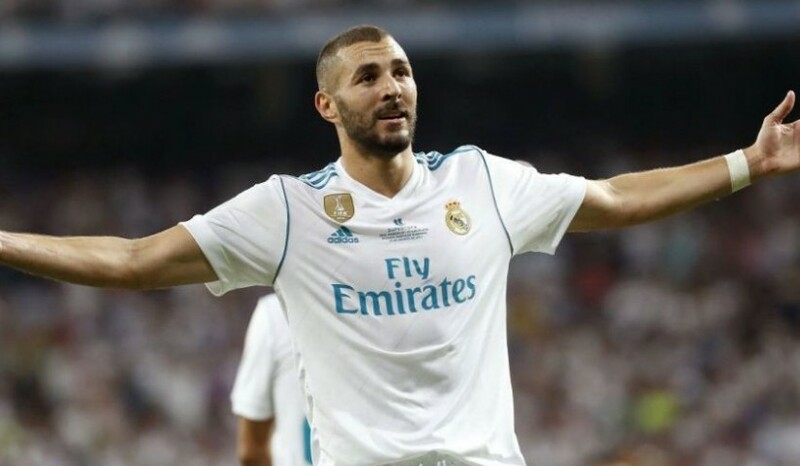 According to Daily Mail, Benzema, who played alongside Ronaldo for nine years at the Santiago Bernabeu, may be up against the Portuguese captain in the Italian topflight league next season. The report claimed that manager, Carlo Ancelotti is desperate to reunite with Benzema at Napoli, with the club already preparing to launch a £40million bid. Ancelotti, who only took over from Maurizio Sarri this summer, is keen to bolster his attacking line after Juventus further strengthened their grip on Serie A with the purchase of Ronaldo. The Italian gaffer and Benzema worked together for two years at Real Madrid between 2013 and 2015, striking up a good relationship in the Spanish capital. Benzema has scored 182 goals in all competitions for the Los Blancos so far, but only managed to find the net 10 times in the La Liga and Champions League last season. The 30-year-old still has three years remaining on his current Real Madrid deal.